Access to Bristol Bursary is available to Home UK undergraduate students who have completed the Access to Bristol scheme, including Pathways to Law and Pathways to Health Sciences, and who have an assessed household income of £25,000 or below. Accommodation bursaries of up to £1,040 are available to first-year undergraduates who are living in University-allocated accommodation and who were living in an area of low participation in Higher Education at the time of their UCAS application. Home UK undergraduate students can apply for a range of funding provided by donations from friends and alumni of the University of Bristol. The Alternative Guide (AGO) is a web resource for current and prospective postgraduate students (any subject, any nationality) who are looking to fund PhD, Masters, and PGCE study in the UK through grants from charities, trusts, and foundations. Please note: The University of Bristol is not responsible for the information or the accuracy of details contained on external sites. Alumni Academic Achievement Awards are merit-based awards for undergraduates, offered annually, using funds donated by alumni and friends of the University. The awards recognise academic excellence through one-off awards, normally up to £1,000. The awards will be given to the top first-year student(s) as identified by each faculty. Music bursaries are available to non-Music Department musicians to help with the cost of instrumental or singing lessons. The Alumni Grant supports the extra-curricular activities that make Bristol such an exciting and vibrant place to study, including sports clubs, cultural societies, theatre productions and media. You can apply to the Alumni Grant group for a grant to assist you with travel costs when presenting your research at a conference away from Bristol. In 2019-20 two living cost bursaries are available to applicants of Iraqi nationality who are domiciled in Iraq at the time of application. They will be awarded on the grounds of academic excellence and financial need, and are valued at £2,500 per year for up to 4 years of undergraduate study. The Anne Sleigh Bursary is established to assist female students from state schools to study Physics at the University of Bristol. View the Faculty of Arts funding for postgraduate taught programmes. View the Faculty of Arts funding for postgraduate research programmes. In partnership with Aviva, we are offering 10 scholarships worth 20% of tuition fees to undergraduate and postgraduate taught students from China, Hong Kong, Taiwan, Vietnam, Indonesia or Singapore. The Beacon Scholarship offers access for financially disadvantaged students from Kenya, Tanzania and Uganda to undergraduate programmes of study at world class schools and universities. The National Commission for Scientific and Technological Research (Conicyt) currently offers full scholarships to cover tuition fees, living expenses, airfare and English language courses to Chilean postgraduate students. Undergraduate students studying in the department of Electrical and Electronic Engineering who are experiencing financial difficulty may be considered for an award from the Professor Leslie Reginald Blake Memorial Fund (‘the Blake Memorial Fund’). This scholarship is available to students whose household income is £25,000 or below, who have been nominated for the Bristol Scholars scheme and are studying their first degree. British Council has launched the second edition of its 70th Anniversary Scholarship programme for Indian Women to pursue a master's programme in Science, Technology, Engineering and Maths (STEM) in the United Kingdom. This scholarship is designed to recognise the academic achievements of Pakistani students studying on the International Foundation Programme at CELFS who progress to an undergraduate programme at the University of Bristol. As part of its widening participation strategy, and as a result of a generous donation in memory of a former student, the University of Bristol is able to offer an entrance bursary of £750 to two new undergraduate student in the school of Dentistry for their first year of study. The University is happy to partner with Colfuturo in offering recipients a scholarship towards their tuition fees. The Commonwealth Shared Scholarship Scheme is a joint initiative between the UK Department for International Development (DfID) and the University of Bristol to support students from developing Commonwealth countries who would not otherwise be able to study in the United Kingdom. Awards are for one-year taught postgraduate courses. Conacyt offers full scholarships (tuition fees and living expenses) to Mexican students studying taught postgraduate programmes, and postgraduate research students studying STEM subjects (sciences, technology, engineering, mathematics). The Denise Coates Foundation Bursary supports first-year students who are from low income backgrounds and who are studying a single honours undergraduate Law degree. The Department of Economics Bursary is for Home/UK first-year students from low income backgrounds who are studying one of the eligible courses in the Department of Economics. Find out about funding opportunities and routes available to support world leading research and training. We provide a range of funding opportunities, including schemes, competitions and initiatives. Our funding opportunities enable individuals and groups to pursue world-class research in academic institutions and independent research centres. The Eileen Drummond and Sheila Anderson (EDSA) awards offer support to first-year Law students in need of financial aid. View the Faculty of Engineering funding for postgraduate programmes. View the Faculty of Engineering funding for undergraduate programmes. At least 5 individual scholarships of up to £2,000 are available to support living costs for international students with an offer to study one of the eligible programmes. The Financial Assistance Fund is a discretionary fund to provide financial assistance to students in order to help them access and remain in Higher Education. The fund supports students who need extra financial help to meet costs that are not met from other sources of support, or students who have particular financial emergencies and as a result are at risk of leaving Higher Education. Please note: The University of Bristol is not responsible for the information or the accuracy of details contained on external sites. The Fulbright University of Bristol Award is offered to a US citizen for the first year of a postgraduate degree in any field at the University of Bristol. The successful candidate will be selected by the Fulbright Commission to receive a grant to be used towards tuition fees and living costs. The University of Bristol is pleased to announce the launch of a new scholarship for Home UK undergraduate students, which has been funded by donations from University of Bristol alumni. In partnership with the British Council and the GREAT Britain Campaign, the University of Bristol is offering two scholarships worth £10,000 to Chinese students applying for qualifying postgraduate taught programmes. In partnership with the British Council and the GREAT Britain Campaign, the University of Bristol is offering two scholarships worth £10,000 to Indonesian students applying for qualifying undergraduate programmes. In partnership with the British Council and the GREAT Britain Campaign, the University of Bristol is offering one scholarship worth £18,100 to a Turkish student, applying for a qualifying undergraduate course, for their first year of study in 2019/20. The Department of Accounting and Finance is offering eight scholarships worth £5,000 each to eligible international students studying for a postgraduate qualification in Accounting and Finance. The Department of Economics is offering five scholarships worth £5,000 each to eligible international students studying for a postgraduate qualification in Economics. The Global Opportunities Scholarships are made up of 80 scholarships of up to £500 each to University of Bristol students undertaking short term international activities, either independently or through a University programme. Prospective graduands who find the cost of hiring a gown is a barrier to attending their graduation ceremony can apply to the Graduation Gown Bursary. The University of Bristol is delighted to be one of only six Universities able to nominate students for an award from the Grundy Educational Trust. The Grundy Educational Trust provide funding for UK citizens or residents looking to complete a postgraduate programme in a STEM subject (sciences, technology, engineering, mathematics), which will lead to a career in technological or scientific based disciplines in industry, commerce or the professions, and who need financial help with their maintenance costs. Tom Hargrave Scholarship Programme is set up to provide financial support for outstanding final year Computer Science BSc students suffering financial hardship. HESPAL is a British Council managed scheme, which offers scholarships to young Palestinian lecturers from universities in the West Bank and Gaza enabling them to study in the UK. This scholarship is offered by the Hong Kong Branch of the Bristol University Alumni Association in Hong Kong. It is awarded on the grounds of academic excellence, financial need and future potential contribution to Hong Kong. The Scholarship will be £15,000, to be offset against the tuition fees payable to the university, for a one year masters degree programme in any field of study. The International Hardship Fund has been set up to provide emergency financial assistance to international students, who find themselves in unexpected financial difficulty, as a result of a significant or unexpected event that could not have been predicted. The International Hardship Fund is a very limited fund, which has been set up with funds donated by alumni and friends of the University to support students at Bristol. A very small percentage of this fund is set aside to assist international students with childcare costs each year. The purpose of the Fund is to help with expenses incurred by Music students of the University in pursuit of musical studies in an area for which a grant is not otherwise available to them. It is primarily intended to support such projects as attendance at music summer schools or master classes. The Knowlson Trust Travel Awards are scholarships of up to £500 available to University of Bristol current undergraduates for ‘life-changing’ travel unrelated to a student’s academic learning. This bequest is to enable members of the Music Department to have a grant to attend a chamber music course, normally in a vacation. If any of you are involved in an ensemble and would like to attend such a course, please get in touch with the Director of Teaching. This bursary is designed to help UK-resident postgraduate students with up to £5,000 towards the cost of their tuition or other course related costs, whilst studying on a full-time postgraduate degree course at a UK university. This bursary is available to undergraduate students studying a first-degree course who are the children or spouses of commercial travellers, chemists or grocers, and who are in financial need. The aim is to support eligible students with a bursary of up to £3,000 a year towards the cost of an undergraduate degree. A few scholarships are awarded each year to students of exceptional sporting ability who demonstrate great need, for instance those who may require additional funding to compete at national level competition and above. Recipients of this award, worth up to £250 p/a, are required to become members of the High Performance Sports Squad. 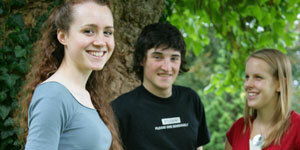 Lloyds Scholars Programme is a unique opportunity available to students attending some of the top universities in the country, including the University of Bristol. This Scholarship is for Graduate Study in any subject at either Masters or Doctoral level at the University of Bristol and will be for up to two years (with a possibility of a third year for doctoral studies). If awarded a Bristol Marshall Scholarship candidates would be expected to study at the University of Bristol. 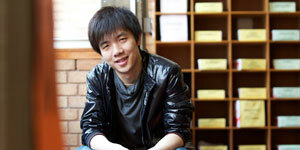 The Department of Music have a number of Scholarships, Bursaries and Prizes. These bursaries are for degree or diploma courses in social work and are supplied by the NHS Business Services Authority who administer them on behalf of the Department of Health. The University of Bristol is pleased to announce The Nicholls Arts Bursary for first year undergraduate students studying a single or joint honours Theatre course in the Department of Theatre. The University offers organ scholarships at St Mary Redcliffe Church, Bristol Cathedral and St Paul's Church, Clifton. There are also choral scholarships available at St Mary Redcliffe Church and Bristol Cathedral. These are open to all full-time students, whether or not they are studying for a Music degree. Generous, tax-free funding is available to the best graduates training in a range of subjects. Eligibility for financial support, and the amount a student can expect to receive, will depend on the subject in which they train and the degree classification, or highest relevant academic qualification. The School of Economics, Finance and Management is pleased to invite applications for PhD scholarships in Accounting, Economics, Finance and Management. Successful applicants will study for a PhD, receive a contribution towards the cost of full-time PhD study, and undertake teaching duties within the School’s teaching programmes. You can apply for a Phyllis Mary Morris Bursary if you are classed as an overseas student for fee purposes and have applied to start a one-year, full-time taught postgraduate programme at the University of Bristol in September 2019. View the School of Physiology, Pharmacology and Neuroscience funding for postgraduate programmes. Students living in England and Wales can apply for a Postgraduate Doctoral Loan of up to £25,000 to assist with course fees and living costs while studying a postgraduate doctoral course, such as a PhD. The Young Carers Bursary has been put in place to provide additional support for a group of students who we recognise as needing a helping hand. We deliver fantastically exciting science both directly through our own research facilities, and by providing funding for academic research, studentships, industrial collaborations, science communicators and others. Scholarships for postgraduate taught students from Jordan, Lebanon, Palestine and Syria. Candidates must hold the equivalent of a UK undergraduate 2:1 degree or higher to apply. We have up to 16 Santander Innovation Scholarships worth £3,000 each which will be awarded as a one-off payment to students from an undergraduate Innovation programme or the MSc Innovation and Entrepreneurship programme at the beginning of their course. This is a ‘one-year scholarship’ for PhD students who want to pursue a Japan-related topic within the Faculty of Social Sciences and Law, University of Bristol, with no guarantee for further funding. Scholars4dev, short for Scholarships for Development, is a listing of international scholarships that are open to students from developing countries and international students in general. Please note: The University of Bristol is not responsible for the information or the accuracy of details contained on external sites. There are a number of different scholarships available to MSc offer holders in the School of Economics, Finance and Management who meet our academic criteria, across a number of programmes. The TLHP Bursary supports students undertaking the Master’s programme in Teaching and Learning for Health Professionals by offering a full or partial reduction in the cost of tuition fees. The Bob Savage Memorial Fund assists Palaeontology Msc and PhD students at the University of Bristol, especially to cover the costs of fieldwork. The Scholarship Hub offer a searchable online database of scholarships available to UK and EU students. Please note: The University of Bristol is not responsible for the information or the accuracy of details contained on external sites. You can apply for a Think Big International Foundation Programme Scholarship if you are classed as an overseas student for fee purposes and have applied to start a one-year International Foundation Programme (IFP) at the University of Bristol in September 2019. You can apply for a Think Big Postgraduate Scholarship if you are classed as an overseas student for fee purposes and have applied to start a one-year, full-time taught postgraduate programme at the University of Bristol in September 2019. You can apply for a Think Big Undergraduate Scholarship if you are classed as an overseas student for fee purposes and have applied to start a full-time undergraduate degree in one of the qualifying courses at the University of Bristol in September 2019. The University Travel Bursary fund can cover the travel costs of prospective UK students wishing to attend an undergraduate interview, departmental open day or a post-offer visit day. The bursary is available on a first-come-first-served basis to those with a household income of £42,875 or below and covers the train/coach/air fare at the most economical rate available, or the cost of petrol at 15p per mile if you travel by car. Many trusts and charities provide grants to assist students in financial need, provided they meet the necessary criteria. The UKESF Scholarship Scheme connects undergraduates to leading employers in the Electronics sector and provides an annual bursary, paid summer work placements and a paid-for residential workshop. The University of Bristol is eligible to certify loan applications for Direct Loans, also known as Title IV loans. These loans are borrowed directly from the US Federal Government, who determine the terms and interest rates that apply to the loans. Further information is available at www.studentloans.gov. The University of Bristol is delighted to be working with the Unite Foundation to provide Unite Foundation Scholarships. The Unite Foundation Scholarship comprises provision of free en suite accommodation in Unite House for a limited number of fully enrolled eligible undergraduate students. University of Bristol alumni who go on to study for a postgraduate degree – either taught or research – at Bristol can benefit from a 10 per cent reduction in tuition fees. The 10 per cent discount is available for students who start their postgraduate degree on or after 1 October 2017 and will be applied to their tuition fees for the full duration of the programme. The University of Bristol Postgraduate Research Scholarship pays tuition fees and a maintenance stipend for the duration of a post-doctoral research degree (typically 3 years). The University of Bristol and UKEAS Taiwan are pleased to offer a joint scholarship of £2,000 exclusively for students from Taiwan. The scholarship is awarded as a tuition fee discount, for one year of study. The Vice-Chancellor's Scholarship scheme is open to undergraduate students with exceptional musical, dramatic or sporting talent. The scheme is open to students applying to any undergraduate course at the University (although, as the scheme is designed to attract students with exceptional abilities outside their normal field of study, a Music student would not be eligible for a music scholarship nor a Drama student for a drama scholarship). Wellcome Trust is a global charitable foundation. The Trust supports researchers through postgraduate funding schemes in the areas of biomedical science, population health, product development and applied research, humanities and social science, and public engagement and creative industries. This award covers the full cost for an Indian student to undertake a PhD course at the University of Bristol. Applicants must have accepted an offer from the University of Bristol to study for a PhD course. Applicants must be ordinarily resident in India, and preference will be given to applicants of Kashmiri origin. Applications are welcome from students in all disciplines currently represented at the University of Bristol.